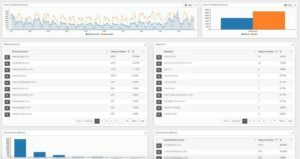 What is Website Visitor Analytics..? Anonymous Website Visitor Tracking and Identification will make it possible for you to improve your business with measurable, real customer data gathered directly from your own website visa website visitor analytics. 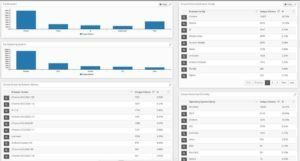 This data is a compliment to the Website Visitor Tracking Data collected for Identification purposes and includes basic data reporting, expanded device information, user engagement analysis, entry and exit statistics, referrer information, and more. Where are your visitors located? 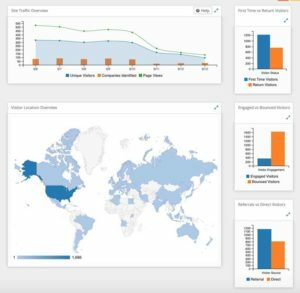 Your Visual Visitor analytics data will show you which countries, states or regions provide the most traffic to your website. You can then take that information and focus your marketing efforts to either increase your traffic in areas of lower volume, or fine tune your marketing in areas of higher volume. Use this data to better see if there is a correlation between conversion rates and location as well. Just because certain areas show a higher volume of traffic does not mean that they will also have a higher conversion rate. How are people accessing your site? Does your traffic originate from mobile devices, laptops, or desktops? Knowing which devices your website visitors or customers are using to access your business website is a valuable piece of knowledge for any business as it allows them to optimize the design of their website accordingly. Visual Visitor’s Website Visitor Analytics section gathers detailed information like: Top Browsers, Unique Visitors by Browser, Top Operating Systems, Unique Visitors by Browser Version, Unique Visitors by OS, Unique Visitors by Device Type, and Unique Visitors by Browser Resolution. How do sales or conversion rates stack up by device? Why is it important to know and what does it tell you? Conversion and bounce rates by device can highlight issues like page load time, formatting issues, form issues, etc. 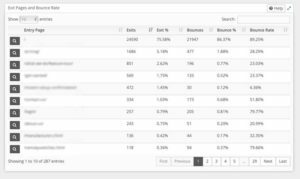 Use the analytics data provided by Visual Visitor to tie that information directly to customer visits! How is visitor traffic getting to your website? Knowing this allows you to better focus your marketing dollars to maximize for higher sales/conversions. For example, is your website visitor traffic coming from other websites, add campaigns, email campaigns, or social media? What pages your customers originally enter your site on and what pages they exit from are also valuable marketing tools. This information will allow you to perfect those entry pages as you know they are high volume and place hot marketing items in areas where they will have a higher viewing percentage. It will also tell you which pages you might need to re-evaluate and tweak a bit by the higher exit volume or bounce rate. Bounce rates (the percentage of visitors who leave your site after visiting just one page) can indicate a problem with the information on the page, or with the page itself (load time, failed links, etc). Do your exit pages have higher rates for a certain type of device? Example: do mobile devices have a higher bounce rate or tend to leave more often after visiting a certain page? That is a warning sign that there is an issue with the viewing of that page for that particular device. Knowing these numbers tells you how effective your website is and how effective your marketing platforms are. If you have a high first time visitor rate, you know that the marketing that you currently have in place is driving potential leads to your site. If your returning visitor rate is low, you know that some additional research needs to be done to determine why those visitors are not returning. Finally, if your bounced visitor rate is high, this could indicate that the marketing is not sending the right leads. Still unsure that Website Visitor Analytics can help your business grow? Start your FREE 14-day trial and experience the website visitor identification tool businesses trust. This trial does not require a credit card and has no obligations.